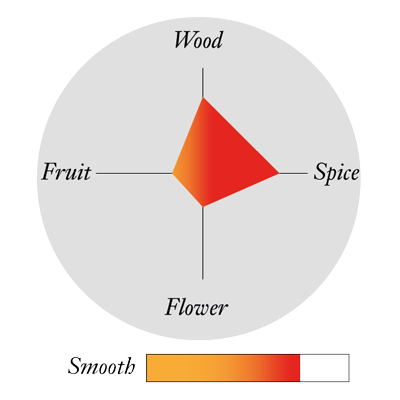 Nose: Floral and elegant. Dominated by eaux-de-vie from the Borderies terroir. Martell have shown us once again, that their artistic flair has the ability to turn classic, award-winning Cognacs into works of art time and time again. The Martell XO Cordon Bleu Art of Generosity edition is a gorgeous edition of the classic Cordon Bleu Extra Old, using the same vibrant royal blue of the Cognac maison, but taking it one step further. Martell commissioned the contemporary artist Mathilde de L’Ecotais to create a cutting edge design by combining new technology with traditional techniques. It is complete with a stylish marketing campaign that should not be missed. Inspired by the vines and natural elements of Cognac vineyards, de l’Ecotais created a set of stunning multimedia prints to be transposed on to the chic blue bottle. 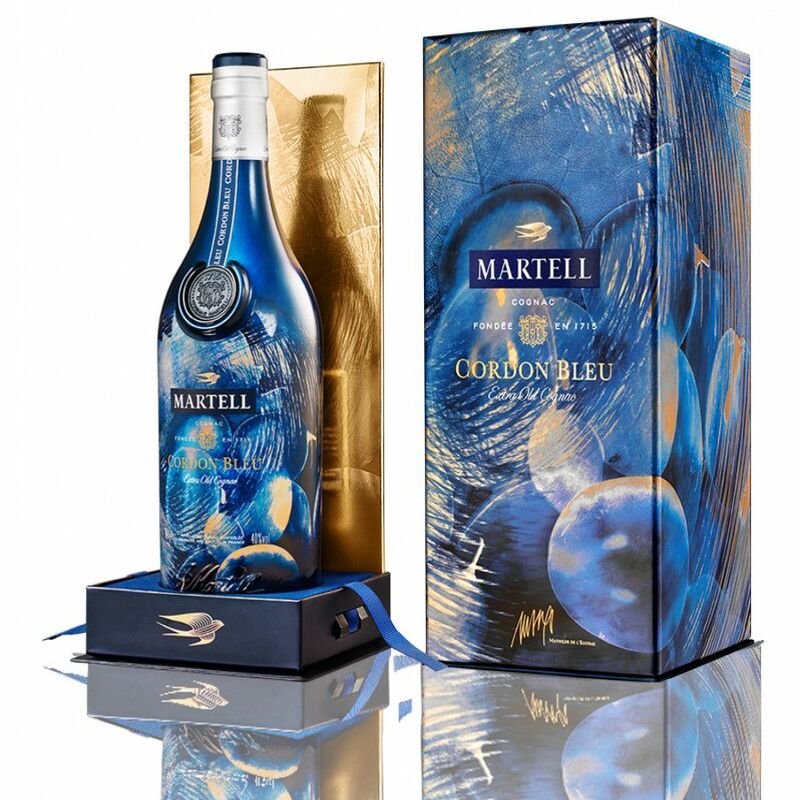 The bottle, which incorporates the famous Martell swift with stunning flashes of gold and blue. The bottle is adorned with a blue wax seal, and it arrives in an equally stunning box. This is a true Borderies blend, with some of the finest eaux-de-vie from this tiny, highly coveted cru. Since it was created in 1912, its recipe has not changed and has continued to wow Cognac drinkers with its unique aromas, thanks to over 150 eaux-de-vie which are assembled in this blend. Read more about the Borderies terroir here on our blog. The Art of Generosity Limited Edition XO Cognac is a rework of savoir-faire dating back centuries at the Martell Cognac House. As the oldest house in the Cognac region, they have been practising the art of blending fine eaux-de-vie since 1715. See the original Martell Cordon Bleu 70cl for more information and its awards on the classic, or read more about the release of this limited edition on our blog. Enjoy the Martell Cordon Bleu Limited Edition Art of Generosity in a tumbler glass, with a spritz of sparkling water from a soda siphon. Give it a stir before enjoying.